Ralph twined a little tendril of her hair around one of his fingers. ‘Yes?’ he asked with a quizzical smile. ONE TO FORESEE FOR ONE. 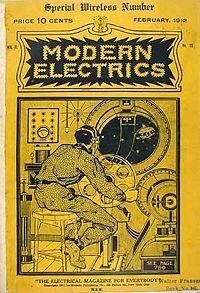 Ralph 124C 41+, written over a decade before the launch of Amazing Stories, is perhaps best understood as an earlier effort by Gernsback to describe that formula. The naïvely-depicted romance between Ralph and Alice, and the various rescues and abductions, alarums and excursions, are the very stuff of Romance, if conceptualised and presented in a cack-handed, juvenile manner. Interspersed among the narrative elements are plenty of scientific facts, pseudo-scientific information, and scientific-sounding patter – including diagrams and footnotes about experiments. 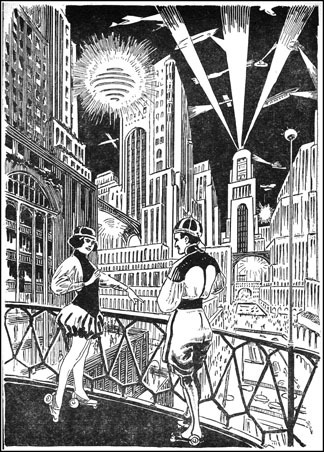 And the future New York offered by Gernsback constitutes prophetic vision. The adulation Ralph receives, and that which is lavished upon the ‘light-picture of the Planet Governor’ (118), indicates that for all the supposed improvements that technological advancement has brought to humanity, society remains deeply hierarchical. Also, the central action of the novel is concerned with Alice being exchanged between men and avoiding miscegenation, culminating in her swapping her father’s name (212B – ‘to want to be’?) for Ralph’s. His body is subordinated to the will of the state, and he demonstrates no interest in the crowd of well-wishers, either individually or collectively. Fluid and tempestuous nature often operates as a metaphor for female sexuality. It is significant then that Ralph uses all his rational-technological powers to spurt energy from his aerial to melt the tide of snow and ice threatening to overwhelm Alice. This sexual displacement is made obvious (and ridiculous) by Alice’s father simultaneously racing home to ensure nothing untoward befalls her, and by Ralph’s tactful withdrawal when he burst in. 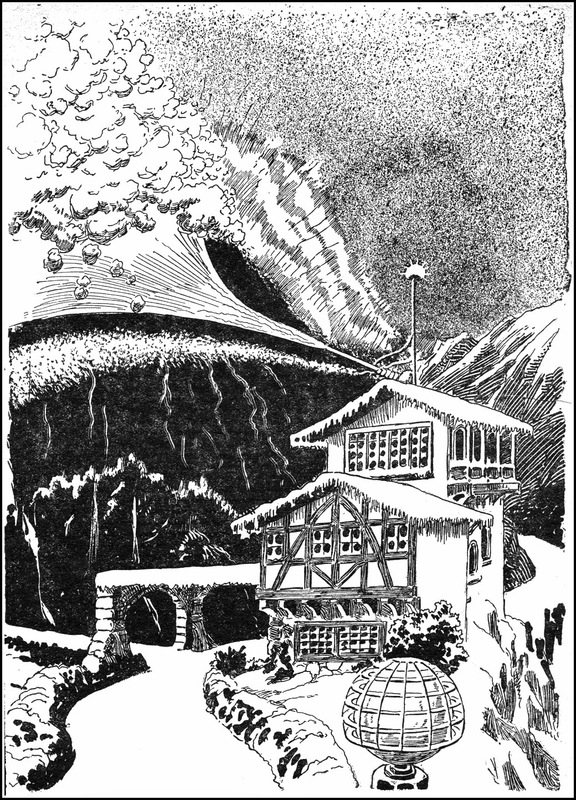 In this context, it is important to take account of the primary characteristic shared by the many inventions, techniques and marvels Ralph shows Alice: flawless steelonium streets, liquidised food, perfect climate control, floodlit sportsfields, the bacillatorium, giant double-glazed geothermically-heated greenhouses, artificial milk produced direct from the grass without having to pass through a cow, a city floating in the sky, an antigravity circus. 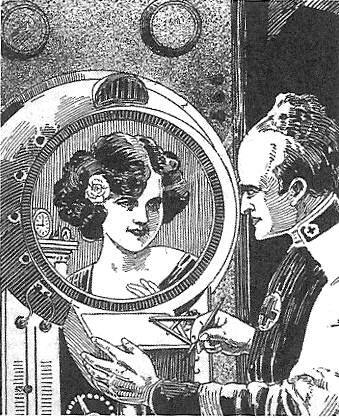 In all of these, it is possible to see Gernsback’s vision of science as a means of abstracting people from nature, and interposing technology between them so as to keep them separated. 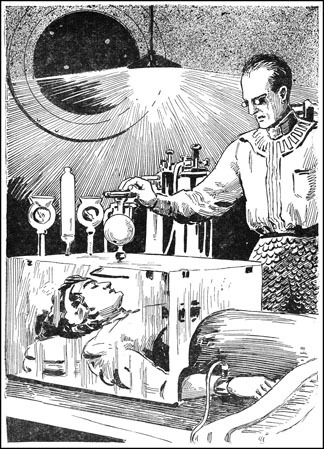 This finds an obvious resonance with the lengths to which Gernsback goes to distance his hero from physical intimacy with Alice, even killing her off so as not to leave her alone with Ralph in a spaceship together for fifty days – she is only permitted to recover when it is possible to banish intimacy beyond the end of the novel. See Klaus Theweleit, Male Fantasies, volume 1: Women, Floods, Bodies, History (1977; trans. 1987) and Male Fantasies, Volume 2: Male Bodies: Psychoanalyzing the White Terror (1978; trans. 1989).